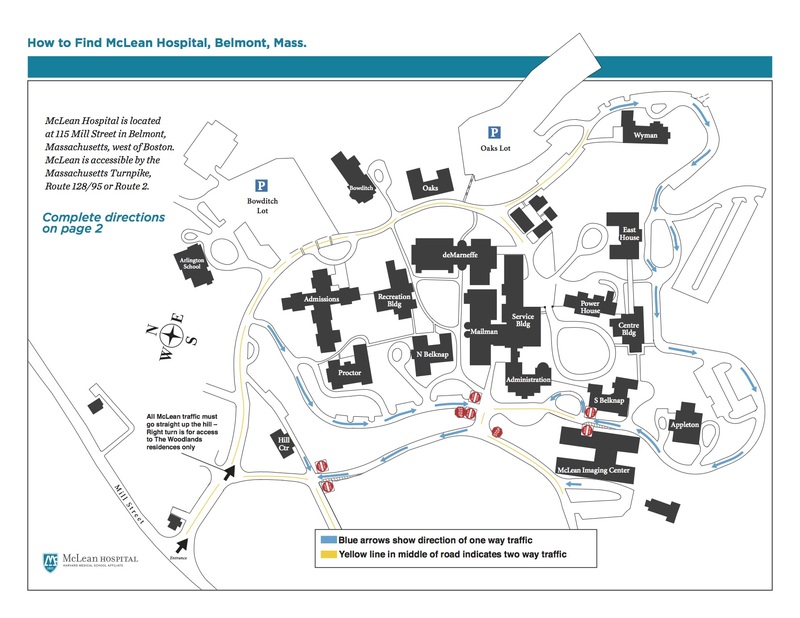 The McLean Shuttle runs from Waverly Square to the Admissions Building and the Administration building on campus. On weekdays, the shuttle runs continuously from 6:30AM until 9AM and from 3:10PM until 6pm, after which time the shuttle runs once an hour between McLean and Waverly. The shuttle is also available by request. To request a shuttle, please call McLean Security at 617-855-3525. 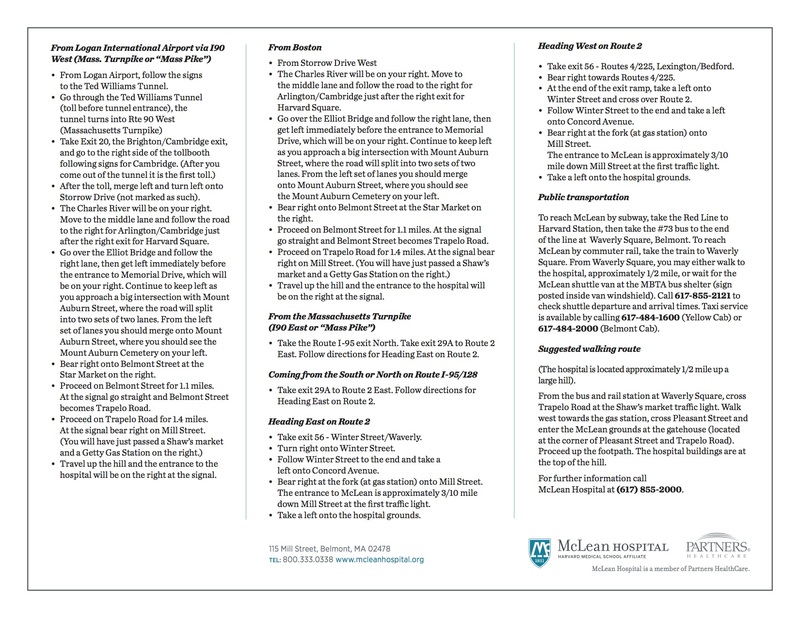 More information about the McLean Shuttle. Our facilities are located in the Oaks Building on campus (see map below), which is a locked research building. Upon your arrival, please call 617-855-4204, and a representative from our lab will come down to let you in.